It was a bright May afternoon when we flew over the Indian Ocean to reach the small town of George in South Africa.The George Airport is tinier than many Indian airports and a humble precursor to the city’s comfortable, small- town ambience. Nestled on the foothills of the Outeniqua Mountains, George is the preferred base to explore the famed Garden Route. 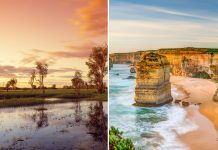 This 300-kilometre stretch extends along the south-eastern coast of South Africa—from Mossel Bay in Western Cape to Storms River in Eastern Cape—and is best explored on a self-drive road trip, preferably with someone who appreciates nature. Accompanying me on the scenic drive are Hannah, a grandmother-turned-tour guide, and Lyon, a former photographer who recently joined the South Africa Tourism Board as a cabbie in order to explore new destinations. We begin our journey along the coastal vistas of George, where low-rise architecture offers a striking sense of space, and everywhere you go, every turn you take, you can see mountains in the distance. Our first stop is the Redberry Farm on Geelhoutboom Road, where varieties of Californian strawberries are grown and exported worldwide. One of the first commercial farms in the region, Redberry Farm allows visitors to pick their own strawberries. Unlike some fruits, strawberries don’t continue to ripen after being plucked. 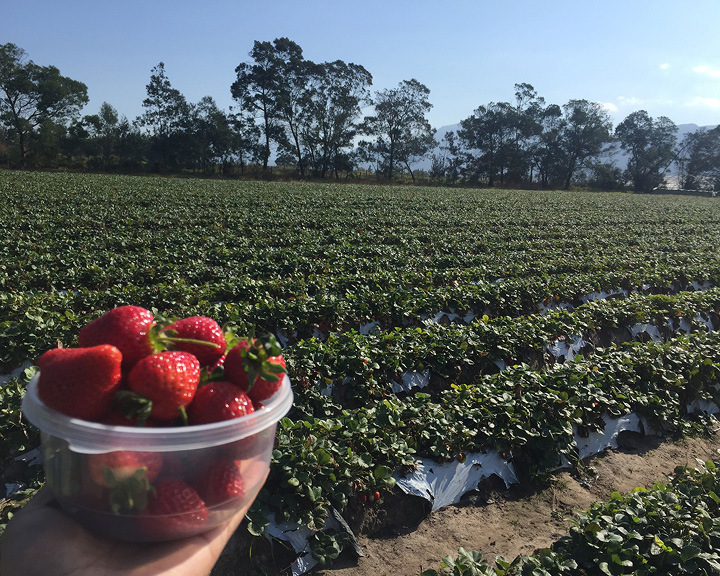 “Therefore, it is important to pick only the bright, red ones,” says Mark Miller, farming operations manager, as we walk through high tunnels and inspect plant beds, set against the stunning Outeniqua mountain range. During my hour-long exercise, I learn that strawberries contain more Vitamin C than oranges, that they should be plucked just above the calyx (for better shelf life), and that each strawberry has 200 seeds (irrespective of its size). “George is among the handful of South African towns that grows strawberries, thanks to its mild temperature that does not go beyond 25°Celsius or drop below 10°Celsius,” says Mark, as I take in a lungful of fresh air one last time before walking to the reception with my bucket full of luscious, red berries. George is the largest town and commercial hub of the Garden Route. But the slow-paced lives of its locals and a beautiful country setting manage to keep its charm alive. “George has a city-like infrastructure, but it doesn’t forget its small-town roots. The locals shut down their establishments by 6.30 pm, go back to their families, and watch television or prepare dinner together. There are hardly any cars on the road once it gets dark,” Hannah explains. I see her point as we drive through Cathedral Square to arrive at Júus, a dedicated cocktail bar. Among a handful of nightlife destinations in the city, the place is deserted for a Friday night. What it lacks in crowd, it makes up in amazing cocktails. I choose a Cognac-based flaming cocktail from the extensive menu. Unlike New Delhi, where jostling with elbows to get a drink is the norm, I have the bar to myself here, with a female bartender who carefully ignites the Cognac using a lighter, before garnishing it with cinnamon and other spices. “Hey, do you mind if I shoot a video?” I ask her. “Not as long as I look pretty,” she quips. George is not the place if you wish to dance the night away. Here, people like to spend their evenings in a laid-back atmosphere, relishing one drink at a time. I follow suit, before kissing the night goodbye. The next morning, we start for our next destination on the route: Wilderness. A quaint, seaside resort town, Wilderness makes for a scenic drive as you cruise along expansive views of the white-sand beaches. 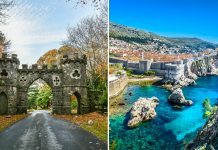 The scenery is dotted with pretty timber houses and offers a remarkable blend of estuaries, lakes, rivers, and beaches. However, there is one particular river that enjoys unmatched admiration among the locals—River Kaimaans. As the river winds its way through the countryside, an unmistakable outline of the continent is seen around the foot of the hill. One can get a better view of the spectacle from the Map-of-Africa view point at Wilderness Heights, or on a paragliding flight above the landscape. Due to intermittent rains, we drop the idea of paragliding and have to do with the view point. As we share the bench, overlooking the hills, clearly smitten by the view before us, none of us speak for a very long time. Wilderness gets high footfall during summer, when families venture out to get a good tan or enjoy the warm waters of the Indian Ocean. While the place offers a plethora of outdoor activities, such as hiking, mountain biking, horse-riding, bird- and whale-watching, boating, etc., canoeing is the most preferred activity to soak in the locale’s beauty at one’s own pace. The Wilderness National Park is home to five lakes that form a chain parallel to the rugged coastline, separated from the sea by a series of towering dunes covered with fynbos. Eden Adventures operates within the park and offers canoeing tours to explore the Island Lake, Wilderness Lagoon, and River Touw. I choose River Touw for my solo canoeing adventure to defeat a long- standing thalassophobia (fear of water bodies). I tighten the safety jacket with my cold fingers, before venturing out into the river on a red, single-seat canoe, with my instructor Chris Leggatt’s words echoing in my ears. “Unlike a kayak, you have to paddle backwards in order to move forward and vice- versa. Similarly, if you want to move to the right, you’ll need to paddle on the left, and vice-versa.” As soon as the canoe splashes into the placid waters of Touw and the current takes me away from the bank, an unusual sense of independence dawns upon me. I am in charge of the situation. “Nothing can go wrong,” I tell myself, and softly paddle my way to the bridge (where I am to meet Hannah and Lyon). En route, I take breaks to caress the cold water, watch the ducks that glide by, and occasionally run into the tall fynbos dotting the river. As I approach the bank, grinning from ear to ear, I can see Hannah waving at me, clearly as overjoyed as I am. “I did it! I did it!” I cannot stop telling myself (and probably everyone around me) as I jump out of the canoe and run up to Hannah for a hug. What follows is a teary realisation of having conquered my fear, and endless glasses of Pinotage to celebrate the occasion. 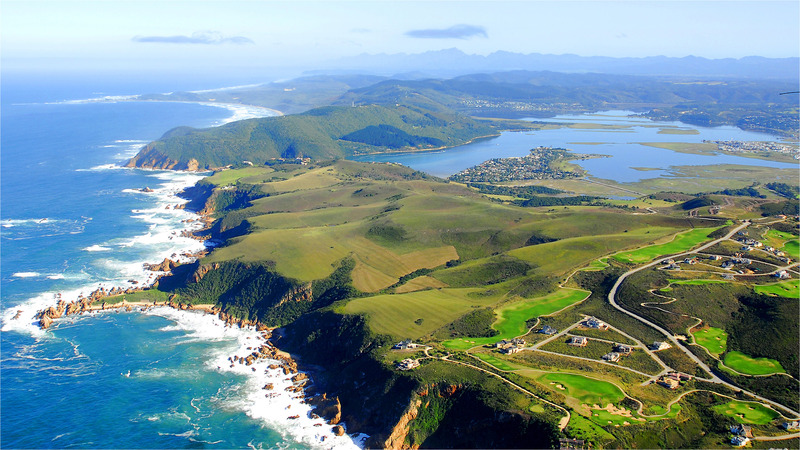 Over the next two days, we drive on to explore two other destinations on the Garden Route—Knysna (47 kilometres from Wilderness) and Plettenberg Bay (32 kilometres from Knysna). While the former is a chic lagoon town with plenty of boutique shops selling apparel and accessories, Plettenberg Bay is dotted with vineyards, where locals drop by, families in tow, for a quiet weekend lunch. 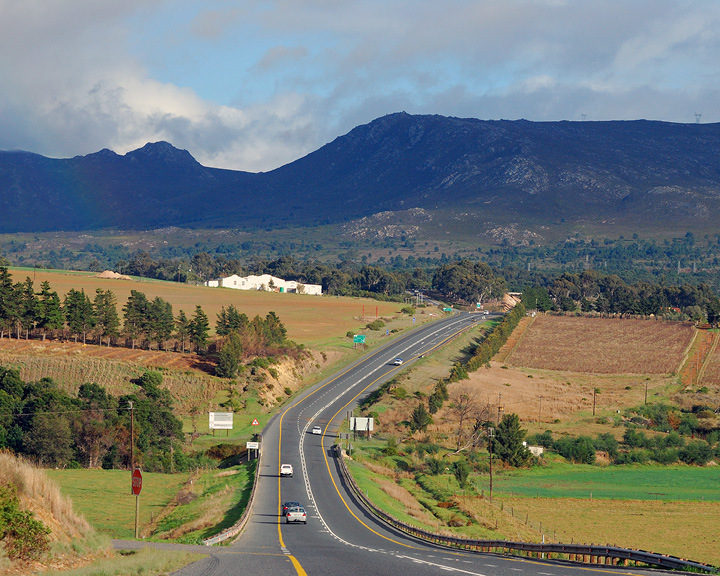 As one drives along Garden Route, the topography drastically changes— from the languid countryside of George to the rugged terrain of Oudtshoorn, and the swaying farms of Wilderness. But one thing remains constant—bountiful nature in all its glory. The scenic drive along the famous circuit deserves at least two weeks to indulge in the plethora of outdoor activities on offer at every stop. GETTING THERE: Emirates offers connecting flights (approx. 8 hours) between New Delhi and Durban. Choose between South African Airlines and smaller domestic carriers, such as Mango and Kulula, to reach George (2 hours). STAY: Protea Hotel George King George (from Rs 8,000) offers decent accommodation on the foothills of the Outenquia Mountains in George. If you’re visiting Oudtshoorn (popular for its ostrich farms), check out Turnberry Boutique Hotel (from Rs 8,500) for a comfortable stay in a heritage property. Those travelling further to Knysna should check in to one of the cottages at Belvidere Manor (from Rs 11,500 ). EXPLORE: Visit the Redberry Farm in George for an authentic strawberry- picking experience. Eden Adventures offers a host of outdoor activities, including canoeing, boating, and hiking, in Wilderness. Get a bird’s-eye-view of the Map-of-Africa on a tandem paragliding tour with Cloudbase. Highgate Ostrich Show Farm is the world’s oldest ostrich show farm and offers interesting activities. 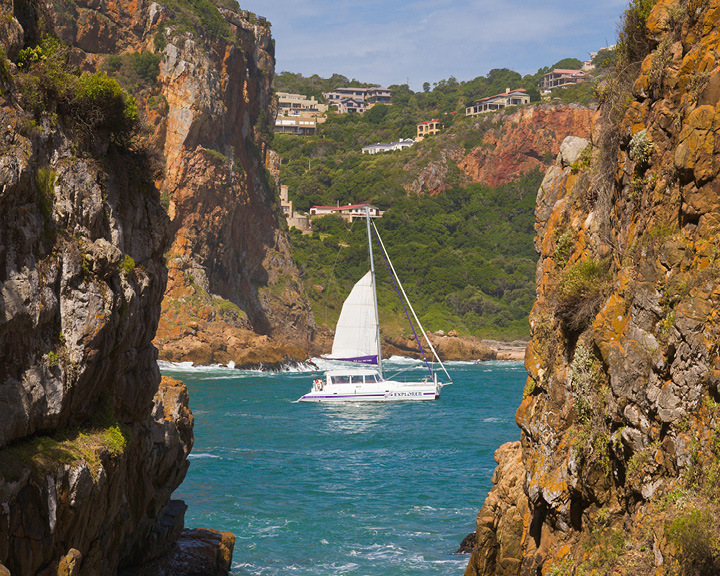 Ocean Odyssey offers boat tours through Knysna Heads and other activities, such as whale- and dolphin- watching. Kay and Monty Vineyard in Plittenberg offers wine-tasting tours, along with an indulgent lunch of cheese platters. Bloukran’s Bridge holds the Guinness World Record for the highest commercial bridge bungee at 216 metres. Check out Face Adrenaline for details. Other towns to explore along the Garden Route include Calitzdorp, Mossel Bay, Great Brak River, Herolds Bay, Victoria Bay, Sedgefield, and Tsitsikamma. DRINK & DINE: Júus in George offers interesting cocktail mixes in an upscale setting. La Capannina serves Italian and South African dishes in a cosy, old-world setting. Zucchini Restaurant (zucchini.co.za) in Wilderness serves hearty meals; house favourites here include calamari and springbok. Bunny Chow is a popular dish and can be enjoyed at Mama Mira’s Bunny Chow (16 Yorkstreet, 6529 George).